The wonderful Lia Stampz came up with new designs for her Etsy shop. If you don't know about her digi stamps, please visit her shop and the wonderful design team over at Lia Stampz challenge blog. For this blog hop, I made a mini tag using the new digi stamp Christmas Jolly. Super adorable design! Which is your favorite new digi stamp from Lia Stampz? Maria Sabina Raita - You are here! There is going to be ONE WINNER per blog. Don't forget to leave a comment on the other blogs! I have a new creation to share. Craft Heaven Shop has a new theme this week, called: distress it. Really fun challenge for our design team. You must check out the other creations over at Craft Heaven Shop inspirational blog. I made a tag, using lovely papers from Maja Design , Pion and of course Magnolia. Really easy challenge this week, because I used pattern paper with distressed design. For the simple cardstock, I used a fine nail file to give the distressed look. I hope you like today's creation. I will share a new one very soon. Until then, please visit Craft Heaven Shop for new goodies, inspiration and more. Have a lovely day! I hope you don't miss today's post,because Sizzix has another amazing GIVEAWAY for you! This time you can win the Big Shot™ machine and some amazing festive dies for the upcoming winter holidays! This is a great opportunity! Click over here to enter the giveaway. I think you already know about the gorgeous free pattern papers from Sizzix. They have a new collection. Really beautiful and just perfect for winter holidays. You can download for free,if you click over here. Keep an eye on my blog for more posts like this. I have fun new projects using Sizzix supplies and not only. That's it for today! Take care of you and have a great day! It's time to share a new creation for Craft Heaven Shop inspirational blog. This week we have ''anything but a card' theme. I used a few supplies from the lovely shop Craft Heaven Shop, to decorate a mini jar. I have a few mini jars and I really don't want to throw them away. They are so cute! Instead,I made a pin cushion jar. I love sewing, but I hate having small pins all over the floor. Having a baby nephew can be fun or big chaos. However, I love stealing his baby powder to create embossing buddy or stealing his empty baby food jars. He hates the taste of it anyway. Have you seen the new products? Christmas is around the corner and Craft Heaven Shop has some new lovely products. Also, don't forget to stop by the inspirational blog for more creations. Thanks for stopping by! Have a lovely day! Who's ready for Christmas? I have a new creation to share, using lovely dies from Sizzix and a few stamps from my stash. I love making tags! Sizzix has a great collection of tag dies. You can find them over here. I hope to get a better camera, in the near future. Sorry,if the pictures don't show the real beauty of my handmade creations. However, I had so much fun making this cute tag. I really love the new ''Back to nature'' dies. Have you seen the new look of Sizzix? The new website looks really good. Just check it out! Also, if you want to save some money before holidays, check out the sale page. I hope you like today's creation. Thanks for stopping by! Have a great day! 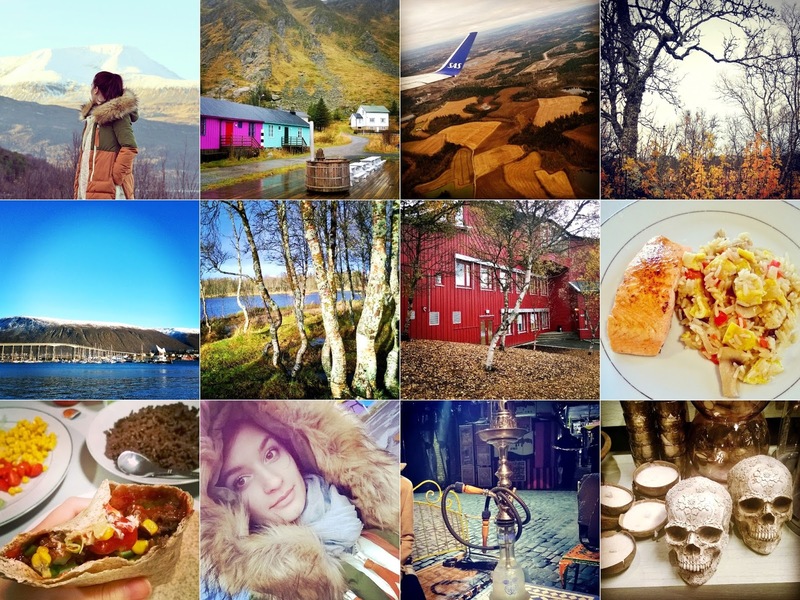 Last month, I took some time off from the everyday routine and spent my time in Norway and a few days in the UK. I really enjoyed this quick journey and I hope to get my energy back and start working on my projects. Traveling isn't my biggest passion, but a challenge. And I love it! I get to learn so many new things and I still want to find my place, my real home. How about you? How are you doing? What are you working on? Before I end this post, please visit these websites for challenges, new products and inspiration. They deserve your support.